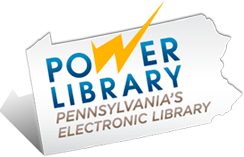 POWER Teens – Research resources for teens from Pennsylvania’s Electronic Library. AwesomeStories.com – Primary source materials collected from archives, libraries, universities, museums, etc. QuizHub – K-12 educational quiz games, homework help sites, and review questions with practice tests. ipl2 – Internet Public Library for Teens: A public service organization website and learning/teaching site, which includes other information for teens. HippoCampus – Provides videos as a free educational resources for middle and high school students. AuthorYellowPages.com – An online directory with links to author and publisher sites. Guys Lit Wire – Literary reviews and news for teenage boys. Readergirlz – Celebrates strong girls in books along with book discussions. YALSA – American Library Association’s Winning Titles for Teens – Alex Awards, Amazing Audiobooks for Young Adults, Best Books for Young Adults, Fabulous Films for Young Adults, Great Graphic Novels for Teens, Margaret A. Edwards Awards, Michael L. Printz Award, Outstanding Books for the College Bound, Popular Paperbacks for Young Adults, Quick Picks for Reluctant Young Adult Readers, Teens’ Top Ten. TeenReads – Reviews, ultimate reading list, authors, books into movies, book clubs, videos, more. Reading Rants! – Out of the ordinary teen booklists! TeensHealth – TeensHealth offers a safe, private place to get information about health, growth, and emotions. Web MD for teens – Better information, better health. GirlsHealth – This site provides information about nutrition and health.